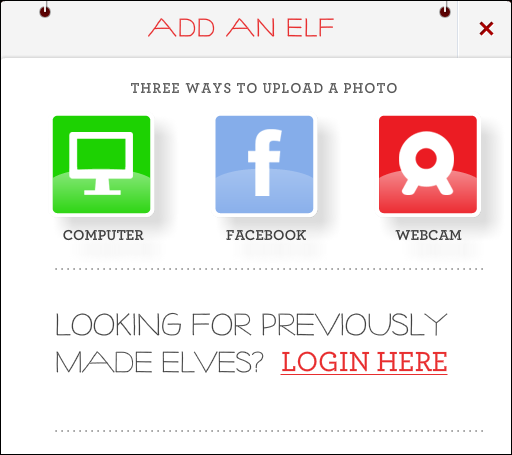 ElfYourself – That’s right (Go ElfYourself)! 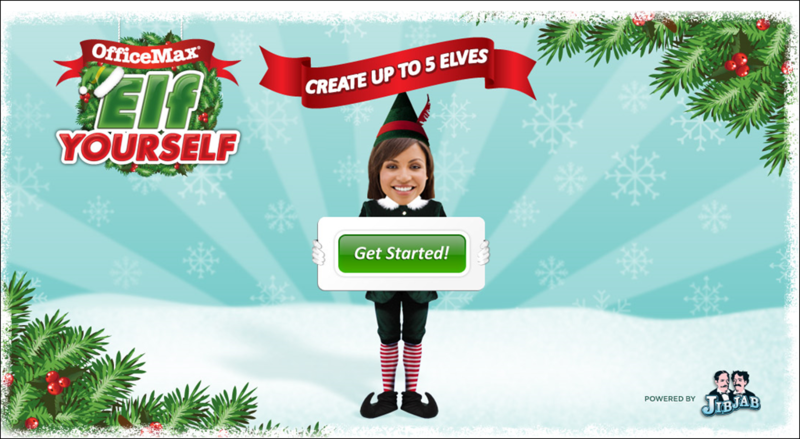 Again this year, as they have for the last 5/6 years or so, OfficeMax is offering the charmingly humorous ElfYourself, an online animated Christmas greeting creation tool. 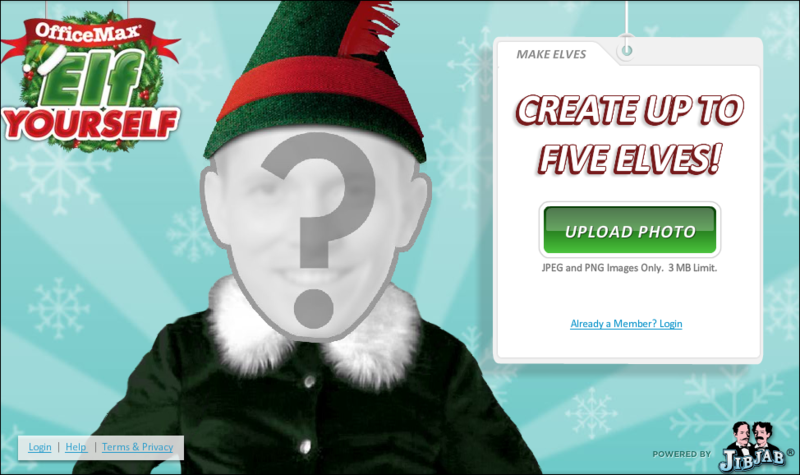 Working with ElfYourself is actually a bit of fun, and while the end product is not “professional”, in any sense, the result is pretty cool – especially when one considers the price; FREE. Once the project is completed (it takes just a few minutes), you can then share your Christmas greeting by email, or post it to either your Facebook Wall, or to a friend’s Wall. This year you can even share on Twitter. 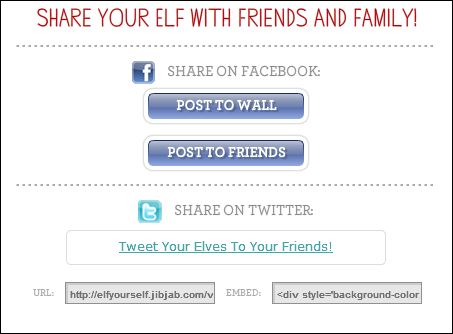 Go to ElfYourself to get started. 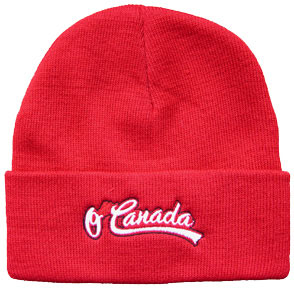 Once on the site, follow the simple instructions. The following screen captures will give you some idea of how uncomplicated the process is. The cropping tools could be a little more robust, I think. But, free is free – so, who’s complaining. 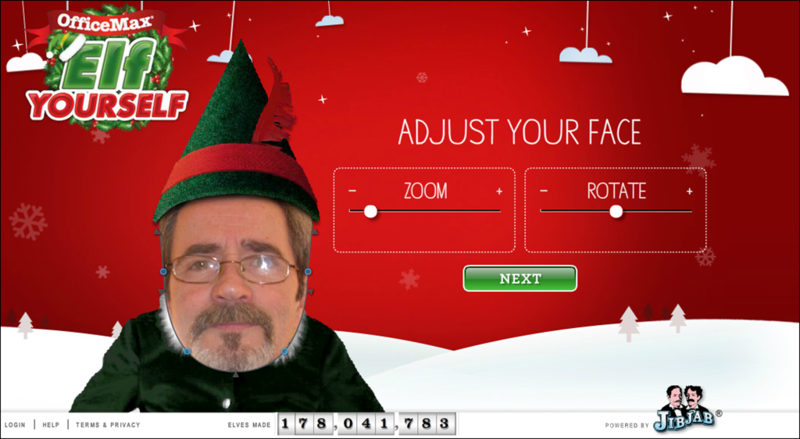 The interface allows a number of minor adjustments. 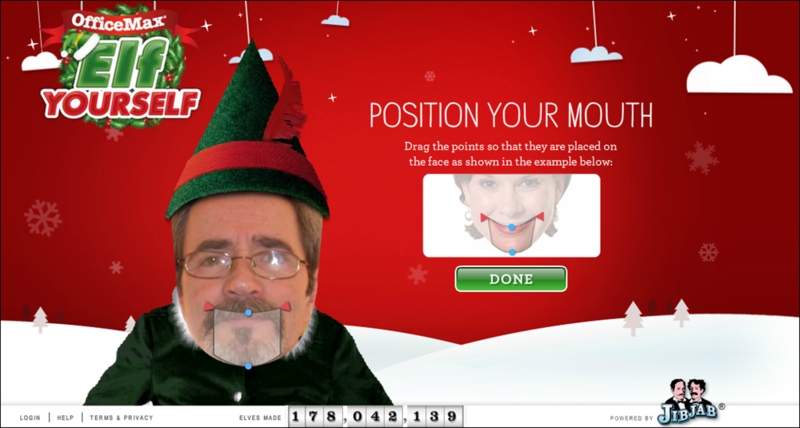 Once the face has been adjusted to your liking, the next step is choosing a dance to accompany the animation. Luckily, there’s a fair number of choices. 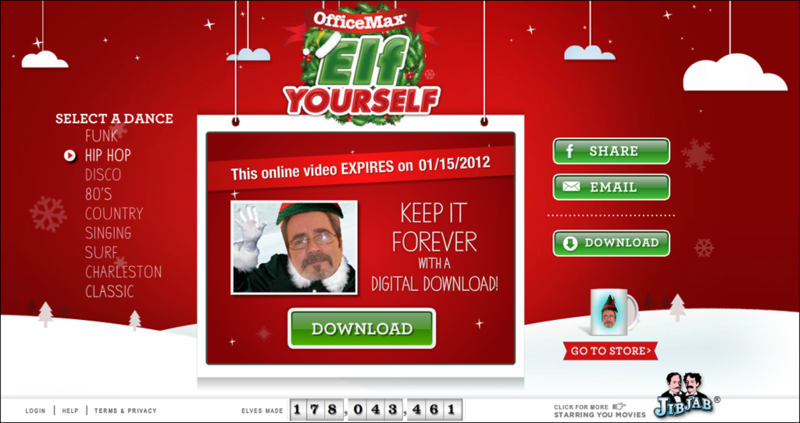 New, this year – you can now download the finished video and save the file locally. Once you’re satisfied with the results – sharing your creation is a breeze. 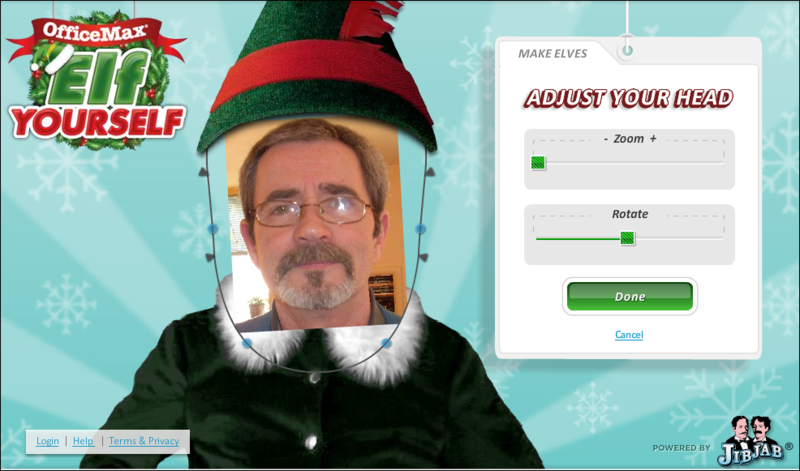 If you’re tired of the same old, same old, Christmas greetings, then visit ElfYourself and get creative. You’ll have a bit of fun at the same time. 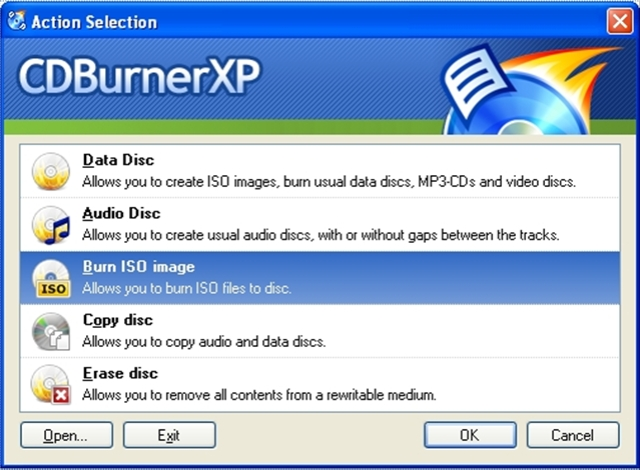 If you’re looking for value in a CD/DVD burner (and what can be better than free), then CDBurnerXP (last updated November 24, 2010), is definitely a significant freeware application. The fairly simple interface makes it a breeze to use for even the most inexperienced user, although it should be said that some users have mentioned that the interface has some confusing aspects. Hmm, I don’t see it. 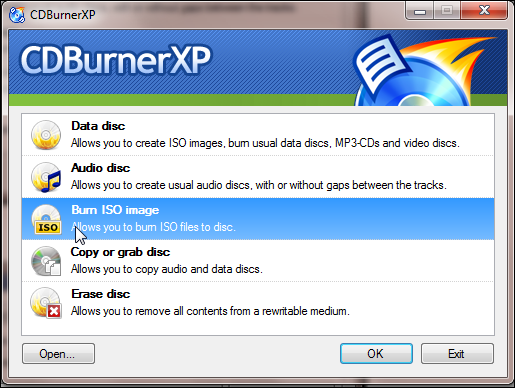 I have burned dozens of CDs/DVDs in the last year using this free application, and in every case, CDBurnerXP did the job flawlessly. 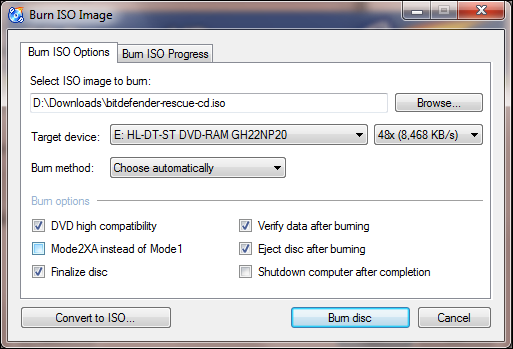 If you’re looking for a free CD/DVD burner application to do what it says it will do, with an easy to work with interface, then CDBurnerXP could be the program you’ve been looking for. 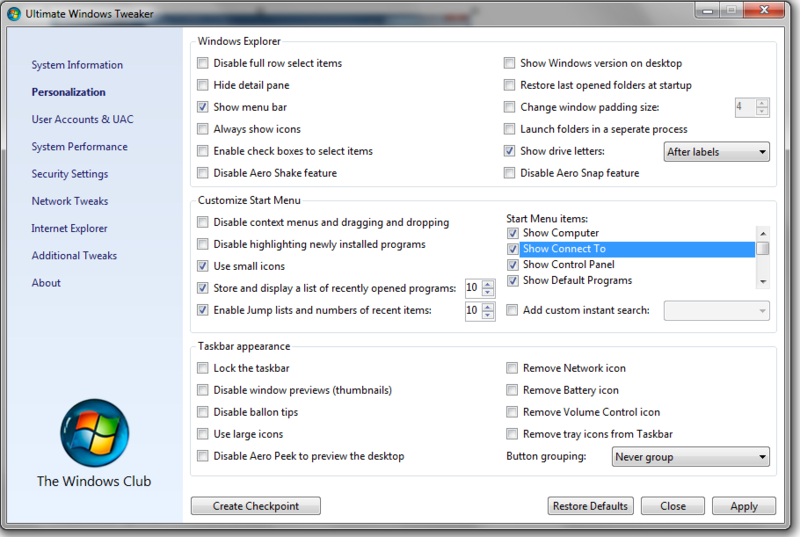 The following screen captures illustrate just how “one click simple” it is to burn an ISO for example, using CDBurnerXP. Bonus: A portable version of this application is also available. Click on “more download options”, on the download page. 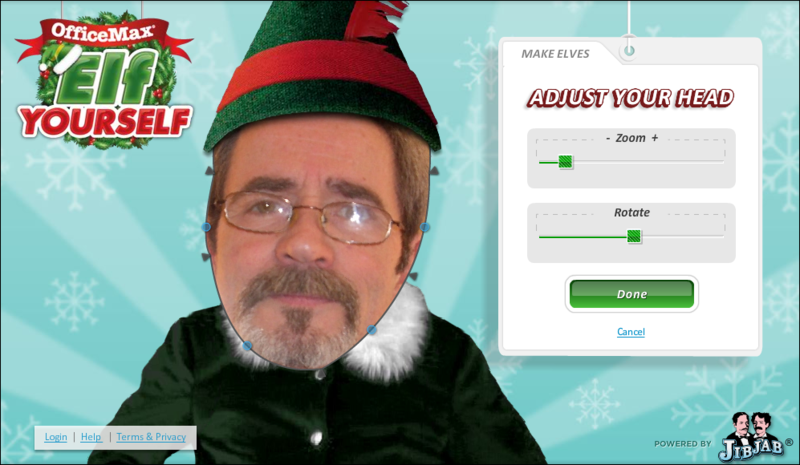 Go Elf Yourself! 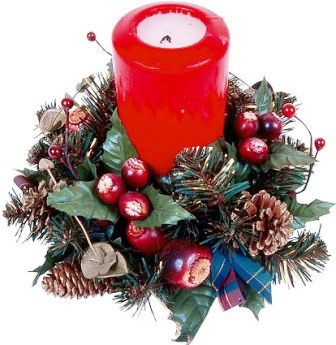 – Christmas Is Coming! 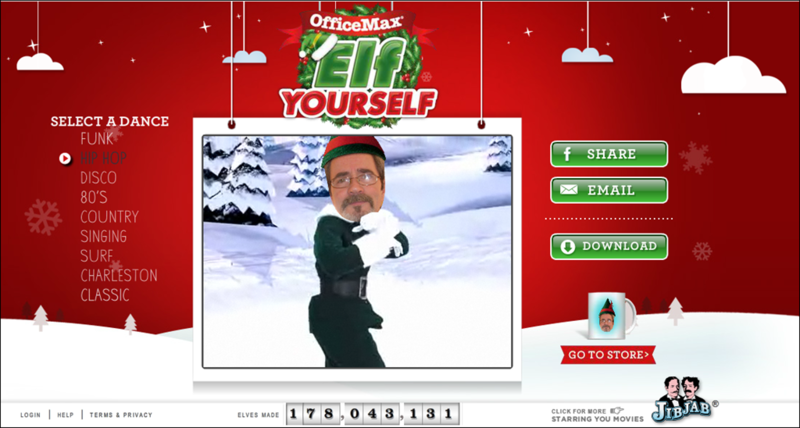 Again this year, as they have for the last five years or so, OfficeMax is offering the charmingly humorous ElfYourself, an online animated Christmas greeting creation tool. 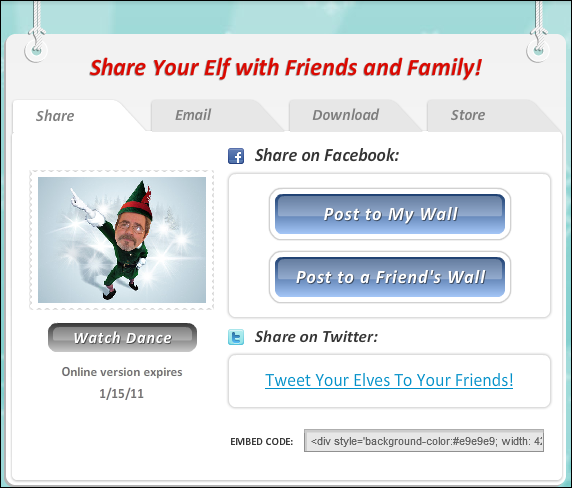 Once the project is completed (it takes just a few minutes), you can then share your Holiday greeting by email, or post it to either your Facebook Wall, or to a friend’s Wall. 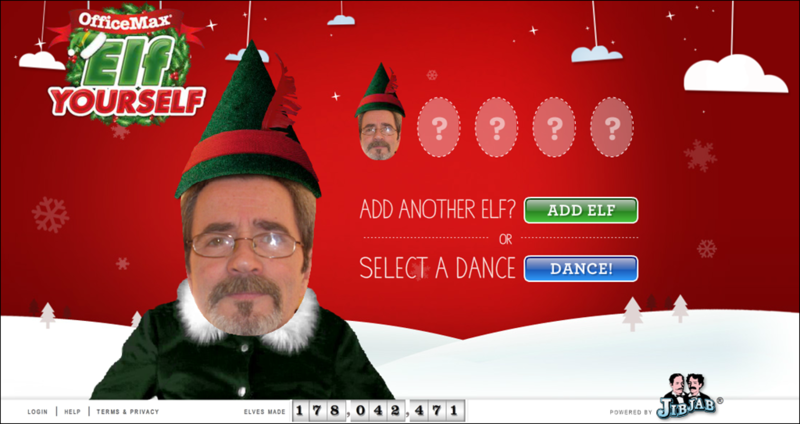 Once the face has been adjusted to your liking, the next step is choosing a dance to accompany the animation. Luckily, there’s a fair number of choices. 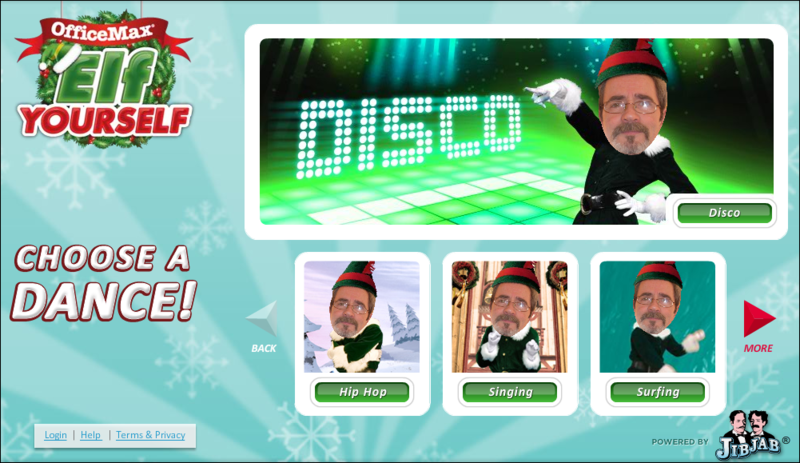 A tip of my Hat, although since it’s winter here in Canada – a tip of my Toque, to my good British friend John B., who was kind enough to put me on his list of ElfYourself Christmas greetings. Check this out. 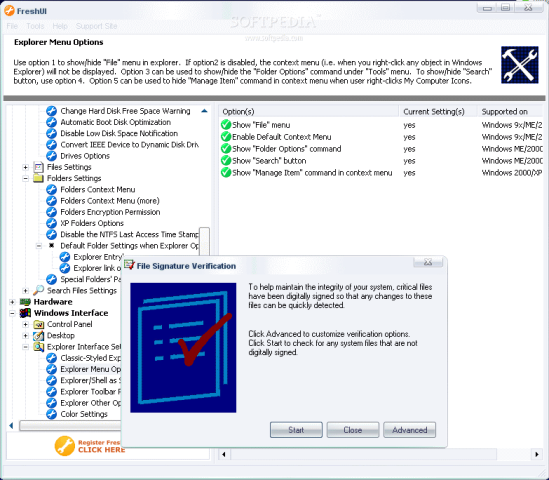 Freshdevices’ Fresh UI is a powerful tool that allows you to configure and optimize your version of Windows – from Windows 95 (hard to believe this OS is still in use), through to Windows XP. With Fresh UI’s simple interface you have the means to access literally hundreds of system settings – settings that you might otherwise have a hard time getting at. 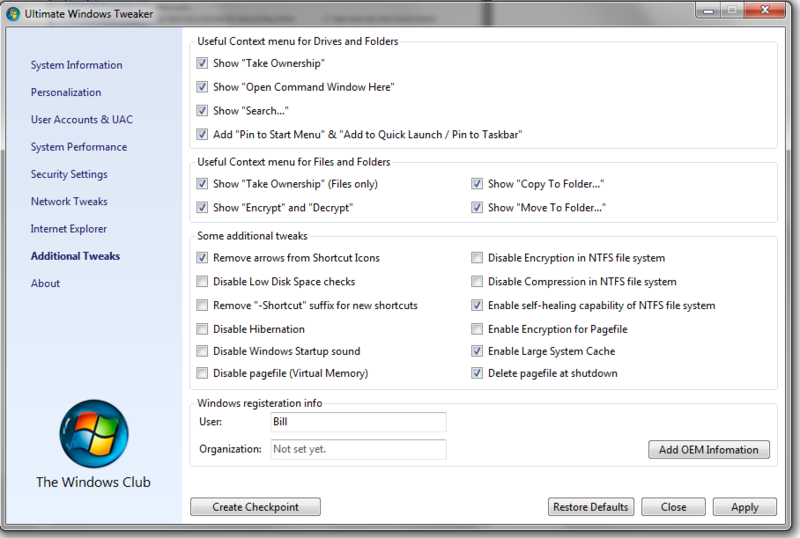 Navigating through this application is easy since the interface is organized similar to Windows Explorer, complete with detailed descriptions for easy reference. I have heard from some users that in their view, it was not always clear what outcome they could expect with some of the selections. On the other hand, most users seem to agree that the help file is fairly extensive, and easy to understand for those who have a reasonable knowledge of their operating system. The major benefit in using this type of tweaking application is the ease with which you can make changes to your system, without the drudgery of having to go through menu after menu, or manually editing the Registry, to get the results you want. However, as with any application that makes changes to your system, use caution, and be sure to have a verified backup. Note: Free registration is required which will extend usage past 11 days. Fresh Devices will email you once or twice monthly with various offers regarding their other freeware. If you consider such activity as Spam, do not download this application. 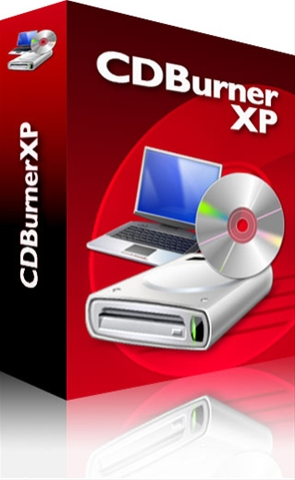 Free CDBurnerXP – Burn Baby, Burn! If you’re looking for value (and what can be better than free), CDBurnerXP is definitely a significant freeware application. The fairly simple interface makes it a breeze for even the most inexperienced user, although it should be said that some users have mentioned that the interface has some confusing aspects. A disadvantage for some potential users may be the necessity to download and install .Net Framework 2.0, which is a 22.4 MB Microsoft application (280 MB on install), that will take at least an hour to download over a dial-up Internet connection. Contrasting with that is the approximately ten minutes, or so, download time on even a slower cable Internet connection. 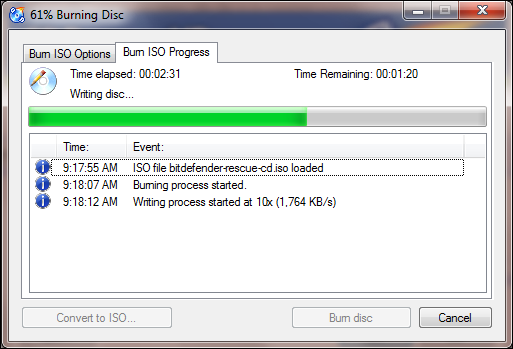 I have burned, at least, several hundred CDs in the last year using this free application, and in every case CDBurnerXP did the job flawlessly. 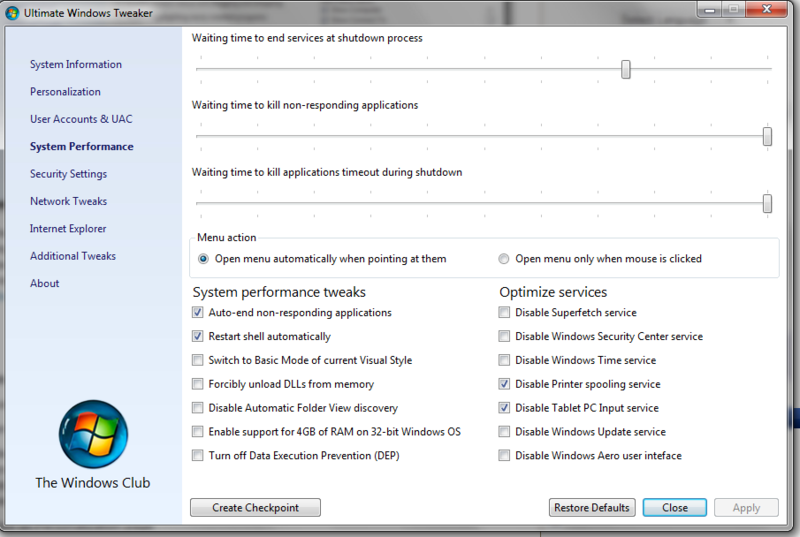 If you’re looking for a free burner application to do what it says it will do, with an easy to work with interface, then CDBurnerXP could be the program you’ve been looking for.